Tilt-and-clean windows are the gold standard for convenience when it comes to cleaning. Instead of working outside in the heat, a person can easily tilt the windows in, give them a good scrubbing, and put them right back into place. If you have older Andersen® windows and wish to make them tilt in windows, Keller Windows offers a conversion kit for an easy upgrade. Before spending thousands on new windows, contact us to learn more about converting them. Designed specifically for the Andersen® Narroline Double Hung Windows made from 1968 to 2012, these conversion kits convert to tilting Double Hung for easy cleaning. Both upper and lower sash convert to tilting sashes for cleaning. If you’re worried that the kits will look cheap or look added-on, don’t worry. The conversion will make these windows look original to your home. There will be no disruption to your existing interior or exterior trim. No one will know that you spent a fraction of the cost to convert existing windows instead of buying completely new ones. 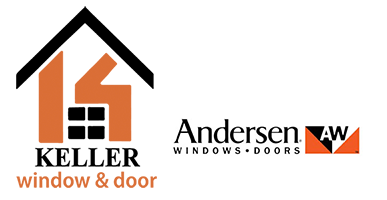 These are the same sashes as Andersen® 400 Tilt Wash window – Andersen’s® #1 selling window. They are available with prefinished white interior or clear pine interior for staining. These conversion kits come with a 20-year glass warranty, giving you the peace of mind that comes with high-quality Andersen® Windows. Keller Windows offers pre-finished white interior or stain grade pine. During our home consultation, we can discuss your options and help you find the right conversion kit for your Andersen® Windows. The conversion kids are available with High-Performance Smart Sun Glass with 95% UV blockage available. The windows look original to your home with very minimal glass loss compared to other replacement windows They all come with a new 20 Year Glass Warranty and a 10 Year Parts warranty that are fully Transferrable Owner-to-Owner Warranty at no cost. These windows are also ultra-quiet thanks to their compression liners. At only 1/3 of the cost of new windows, these conversion kits are a no-brainer for a homeowner. 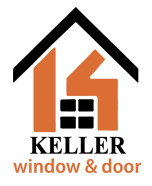 Keller Window & Door is an Andersen® Certified Installer. Conversion kits can be installed in about 30 minutes per window, meaning less time with disruption to your life. If you’d like tilt in windows at a fraction of the cost of new windows, contact Keller Windows right away. "John Keller gave us exceptional service. He didn't pressure us to buy replacements but gave us a good price to replace 2 rotten sash. Why buy whole windows when the remainder is good? He fulfilled all time estimates and his installation was quick and immaculate! We highly recommend him!" "Keller Windows delivered an excellent product on time. Representatives and workers were courteous and professional. I will definitely use Keller Windows in the future." We think St. Louis is smarter than most of the gimmicks out there. Our everyday pricing will beat the other guy’s so-called “sale price” by 20%-40% EVERY TIME! Give us a call & see just how much you can save! Some photos reproduced under license from Andersen Corporation for a specific & limited purpose.